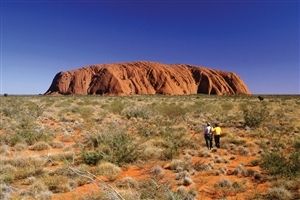 A voyage of discovery allowing you to explore the beauty of Australia, taking in everything from its cosmopolitan city landscapes and vast outback to the stunning coast and picturesque islands. 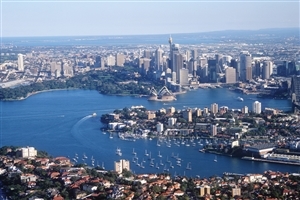 Arrive in Sydney where your trip will begin with the chance to take in a sightseeing tour ahead of evening drinks and dinner with your fellow travellers. Leaving Sydney, journey to the Port Macquarie at the mouth of the Hastings River where you will have time to explore this coastal town. 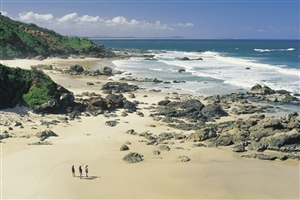 Continuing your journey up the coast, witness the scenic sights of Byron Bay – known for its surf and beaches – before arriving at the famous resort of Surfers Paradise on the Gold Coast where you can enjoy a sunset stroll along the sandy beaches as a relaxing end to the day. 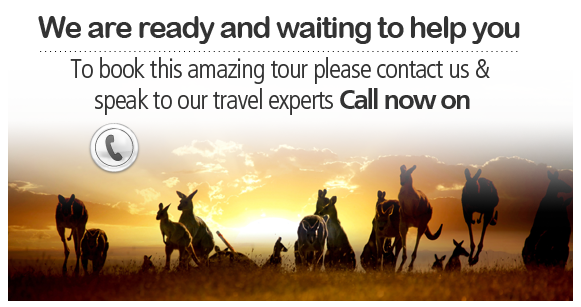 Journey to Brisbane and pay a visit to Australia Zoo, before continuing to Hervey Bay, where you’ll catch a boat to Fraser Island for a two night stay on the largest sand island in the world. The following day is set aside for a sight-seeing tour of the island followed by some free time to spend at your leisure. Returning to the mainland, travel north through sugar cane country to Rockhampton, a city that promotes itself as the 'Beef Capital of Australia'. Take a guided tour of the Botanic Gardens in Rockhampton before heading for Airlie Beach to take a cruise around the Whitsunday Islands – arriving on Daydream Island for a two-night stay. The following day is yours to do as you wish, with the opportunity to lay back and relax, stroll through tropical jungle or view tropical fish while snorkelling off the beach. An early morning cruise back to the mainland is followed by the journey north to Townsville, the unofficial capital of North Queensland, before the overnight stay in Mission Beach. From Mission Beach, experience the diverse landscapes of the Atherton Tablelands as you head for the Kuranda Skyrail, where you can enjoy panoramic views over the rainforest as you ride to Caravonica Lakes. The following day will be spend exploring the Great Barrier Reef with a cruise that provides the opportunity to snorkel amongst the stunning array of coral and marine wildlife. Dinner that evening gives the chance to sample a feast showcasing the best food in the region. 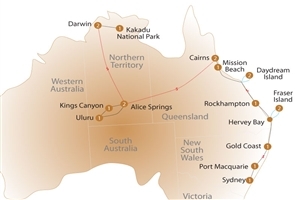 Fly from Cairns to the gateway to Central Australia, Alice Springs. 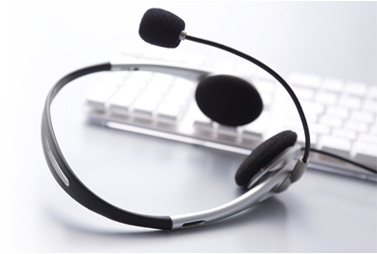 After a transfer to your hotel, the remainder of the day is yours to spend at your own leisure. As you leave Alice Springs to head for Ayers Rock, stop off to visit to a camel farm where the more adventurous can take an optional camel ride at an added expense. After a tour around the base of Ayers Rock itself and a guided Mutitjula and Mala Walk, the day draws to a close with a complimentary glass of wine as you watch the sun set over Uluru. Rise early to see Uluru in all its glory as the sun rises before heading for the astonishing domed rock formations at Kata Tjuta for a walk into Walpa Gorge. From here, depart for Kings Canyon for the overnight stop. A day to explore the stunning beauty of Kings Canyon with a choice of guided walks before making a return to Alice Springs. 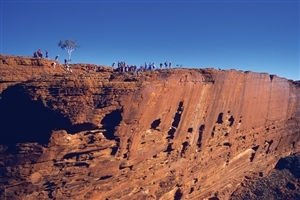 Leave Alice Springs and fly to Darwin for a day spent at leisure. Leave Darwin for the Kakadu National Park to visit the Warradjan Aboriginal Cultural Centre and take a cruise on Yellow Water Billabong – the most famous wetland in the Kakadu region. The cruise will provide you with the chance to see a wide array of wildlife, including saltwater crocodiles, before the afternoon is spent viewing galleries of Aboriginal rock art at Nourlangie Rock. Take a four-wheel drive trip to Ubirr to examine preserved Aboriginal rock art before joining a scenic Guluyambi Cultural Cruise along the East Alligator River with an Aboriginal guide. With special permission from the locals, disembark on the Arnhem Land side of the river to immerse yourself in the local culture. A free morning in Darwin before transfer to the airport for your onward flight.